Christ’s centrality tells us that we can be saved only in his name. It is only in his name that we can win and free ourselves from the enemy of our salvation, Satan. At the end of the most difficult exorcisms, when I am confronted with total demonic possession, I pray the Christological hymn of the Letter of Paul to the Philippians [2: 6-11, which we heard in our second reading at this Mass]. 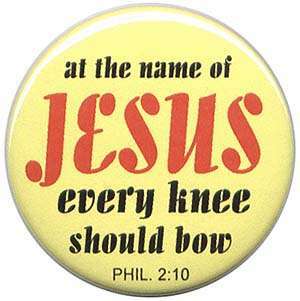 When I speak the words “so that all beings in the heavens, on earth, and in the underworld should bend the knee at the name of Jesus,” I kneel, everyone present kneels, and always the one possessed by the demons is also compelled to kneel. It is a moving and powerful moment. I always feel that all the legions of the angels are surrounding us, kneeling at the name of Jesus. It’s very interesting—even during an exorcism, the demons of hell must acknowledge the truth about Jesus Christ, our Savior. Although I’m sure they don’t want to, they’re compelled to acknowledge the Lordship of Jesus, and to express reverence for his holy name. So what are we to conclude about those human beings—those men and women in our world today—who regularly use our Savior’s name as a curse word? People possessed by demons bend their knees at the name of Jesus, and these others use the Lord’s holy name to express their anger or to curse out their neighbors! I’d like to think that no one here does that, but there are many out there who do! And that includes some who call themselves Christians! On that note, have you noticed how the television and radio censors have changed their policy in recent years? I’m sure some of you have. It used to be the case that all 4-letter words, as well as all curses involving the name of God and the name of Jesus, got censored on network TV and on radio. But not anymore! Oh yes, the 4-letter words still get “bleeped-out” (at least some of the time!) but all the curses that mention God and Jesus are left alone. If you haven’t noticed that trend before in the media, pay attention to it in the future. I don’t know about you, but I cringe when I hear the name of God or Jesus or Mary or one of the saints used in an improper way—especially when it’s done by someone who claims to love the Lord! Would a husband who claimed to love his wife ever use her name as a curse word? Would a wife who claimed to love her husband ever use his name in that way? Here I think we Christians can learn a very important lesson from our Jewish brothers and sisters. The Jews, you know, have an incredible reverence for the name of God. They always have. In Old Testament times, for example, God was designated by many titles—El, Elohim, Adonai, etc.—but the proper name of God (that is to say, the name he revealed to Moses on Mt. Sinai: Yahweh) was never said either in religious rituals or in casual conversation. The only time it was ever spoken was once a year, by the high priest, when he went into the Holy of Holies of the Temple for a special ceremony on the Day of Atonement. Other than that, nobody said it. Nobody DARED to say it. This was a sign of the reverence the Jewish people had for the Lord who had rescued them from slavery and brought them into the Promised Land. And it was also a sign that they recognized God’s supreme and ultimate authority over their lives. That’s because when we human beings use someone’s name, we often do it to assert our authority over that particular person. When I did something wrong as a child, for example, my mother would begin her reprimand in one of 3 ways. She would sometimes say, “Raymond!”—then I knew I was in trouble; or she’d say, “Raymond Nicholas!”—then I knew I was in big trouble; or she’d say, “Raymond Nicholas Suriani!”—then I knew I’d better get out of town fast! She asserted her authority over me by using my name (in various forms!). Jews don’t speak God’s name at all, because they understand that they don’t have authority over him; rather he has authority over them! On this same point, many of you know Carol Marzano, John’s wife. Carol comes to Mass with John almost every Sunday, although she is Jewish. She’s actually more faithful to Sunday Mass than many Catholics are! Well every once in awhile Carol will send me an email, and she’ll end it by saying “God bless”; however God will be written G-d. In fact, anytime she mentions God in a letter that’s how she’ll write the word. To this day, good Jews like Carol Marzano continue to show special reverence for God by not speaking his proper name, and by leaving out the middle letter “o” whenever they write or type the word “God”. And to think that so many Christians use the name of Yahweh’s divine Son, Jesus Christ, as a curse word! Or that they use the name of God as an exclamation—as a way of expressing surprise or fear: “Oh my God!” Even that, my brothers and sisters, is something I think we should try to avoid—out of reverence for the Lord. The only time an exclamation like that would be acceptable is if it’s at the beginning of a prayer: “Oh my God, please help me!” Otherwise it would be better to say something else: “Oh my gosh!”; “Oh my goodness”—something along those lines. 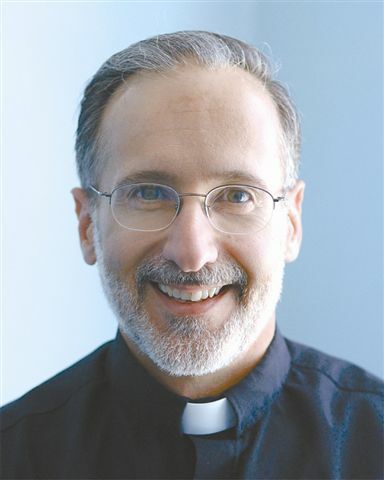 The name of Jesus, when it’s spoken with love and reverence, has great power, as Fr. Gabriele Amorth, the exorcist, attests in that paragraph I read to you at the beginning of my homily. In the old Catholic Encyclopedia it says this: The name of Jesus, invoked with confidence . . .
1. Brings help in bodily needs, according to the promise of Christ [given in Mark 16:17-18]. In the name of Jesus the apostles gave strength to the lame (Acts 3:6; 9:34) and life to the dead (Acts 9:40). 2. [The name of Jesus] gives consolation in spiritual trials. The name of Jesus reminds the sinner of the prodigal son's father and of the Good Samaritan; it recalls to the just the suffering and death of the innocent Lamb of God. 3. [The name of Jesus] protects us against Satan and his wiles, for the Devil fears the name of Jesus, who has conquered him on the Cross. 4. In the name of Jesus we obtain every blessing and grace for time and eternity, for Christ has said: "If you ask the Father anything in my name he will give it you." (John 16:23) Therefore the Church concludes all her prayers by the words: "Through our Lord Jesus Christ", etc. And so, Lord Jesus, please help us—and please help every Christian on this planet—to speak your holy name with the love and with the reverence that it deserves—for your glory, and for our benefit. Amen. The Reward Will Be the Same, But People’s Capacity to Enjoy the Reward Will Be Different! The reward will be the same, but people’s capacity to enjoy the reward will be different. This is a very important truth for us to keep in mind when we’re trying to understand the parable we just heard from Matthew 20, this well-known story of the workers in the vineyard. First of all, however, we need to make a crucial distinction: we need to distinguish between the primary meaning of this parable as it was told by Jesus Christ 2,000 years ago, and the legitimate—but secondary—application of the parable that people very often make. This brings us to the secondary application of the story, which is where people often get confused. Let me frame the issue in this way: From the way the story is told, it seems that non-believers who convert and get baptized on their deathbeds—and lapsed Catholics who make a good and sincere confession right before they die—get the best of both worlds (so to speak). They live their entire lives doing what they want and having a good old time, but in the end they get the same heavenly reward that someone like Mother Teresa gets! Ah yes, but these good people are forgetting one thing—one very important thing; as I said a few moments ago, the reward will be the same, but people’s capacity to enjoy the reward will be different. Everyone, in other words, who dies in the state of grace will eventually get into the eternal kingdom of God—even if their conversion (or re-version to Christ) happened at the “11th hour” of their life. So the “reward” of every saved person will be the same: heaven. But the capacity of a particular person—me, for example, to experience God and his blessings in the kingdom will be greater or lesser, depending on the level of holiness I attained during my earthly life. By following the advice that Isaiah gives us in today’s first reading and seeking the Lord faithfully through prayer and through the sacraments; by living in faith and performing acts of selfless charity; by growing closer to Jesus Christ and becoming more like him—that is to say, by growing in holiness each day—we increase our capacity for God. That’s Augustine’s point here. This means that someone who has a conversion on his deathbed will probably have a much smaller capacity for God in heaven than a great saint like Pius X—or even compared to an ordinary Christian who grew in faith and in holiness for many years on earth. The person who has a conversion at the end of his life will probably have a capacity for God in heaven that’s the size of a thimble. Comparatively speaking, the ordinary, holy Christian will have a capacity for God that’s the size of a pint or quart; whereas the great saints of the Church like Pius X and Mother Teresa will be like gallons! Now the interesting thing is, in heaven everyone will be full: everyone will be full of God and his grace! But the fullness experienced by the thimble-sized soul will be a lot different than the fullness experienced by the gallon-sized soul of the saint! So yes, the reward will be the same, but people’s capacity to enjoy the reward will be different. John and Bill say, “Thank you very much, sir!” and they immediately make plans to go to the game. John has been a Patriots’ fan for as long as he can remember—ever since he was a little boy 50 years ago. He’s been loyal to the team in good times and in bad—which includes the mid-1960s, when the Patriots were one of the worst teams in the old AFL. He watches every game; he knows the statistics of Tom Brady and all the key players; he has Patriots memorabilia all over his house! Bill also is a Patriots’ fan—although he’s only been one for a couple of years. One reason for that is that he’s originally from Australia, where “football” means something very different than it does here in the United States. In fact, he’s still learning about our game. For example, the last time he watched a game of American football on television, the punter punted the ball out of the end zone and Bill thought the man had just kicked a field goal! So I ask you, in all likelihood which of these two men will enjoy Sunday’s Patriots’ game more? Which one will have the capacity—the ability—to enjoy it more? The answer, of course, is John. 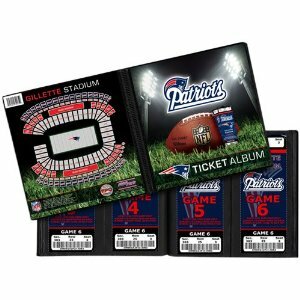 Because John has been a faithful follower of the Pats for so many years; because he knows the game of football so well and has persevered with his team through thick and thin, HIS CAPACITY TO ENJOY THIS REWARD FROM HIS BOSS WILL BE MUCH, MUCH GREATER THAN BILL’S, since Bill barely knows what an American football is! But notice—both men will have the same experience—the exact same experience; both will have the same reward from their boss—a free ticket to this game. Their reward will be the same, but their capacity to enjoy the reward will be different! And so it will be for souls in heaven.